VeryPDF Advanced PDF Page Cut is specially developed to break PDF pages into small pieces both in Windows or Mac OS X systems. This application is not only able to cut different PDF pages with different ways, but also can apply current operations to specific pages. The application allows users to manually draw cut marks or generate a cut mark table according to needs. It is really a time-saving application when you need to break PDF pages. 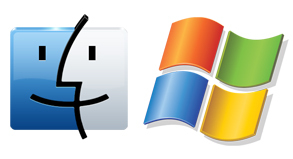 Mac OS X 10.5，10.6， 10.7（lion）or 10.8. VeryPDF Advanced PDF Page Cut is able to break PDF pages into small pages not only with manually set horizontal or vertical cut marks, but also can specify a cut mark table with X rows and Y columns. VeryPDF Advanced PDF Page Cut is able to run both Windows and Mac OS X systems smoothly. The operations on these two systems are the same, which means that if you can master how to use the Windows version, you will be able to freely use the Mac version. 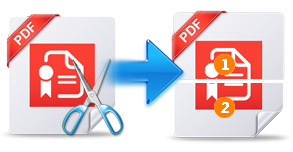 VeryPDF Advanced PDF Page Cut supports to make different operations on different page. After making changes to current page, you can apply the changes to odd, even or specific pages of PDF document. Cut selected PDF pages into pieces. Preview the effects on the main interface. Zoom in and zoom out current PDF page. 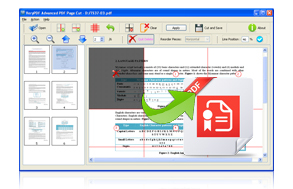 Provide three modes to cut PDF pages precisely: auto-mode, manual mode and fine adjust mode. Extract any section from any PDF pages. Remove or retain the uncut PDF pages. Crop each PDF page in a different way. Reorder the pieces cut from each page.